Hand-carved beauty. 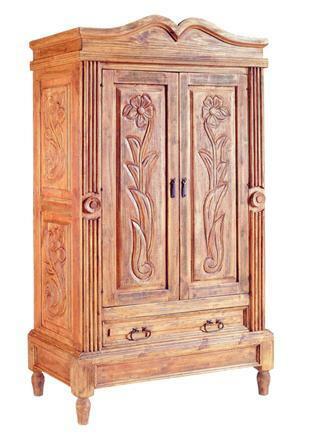 Our rustic flower armoire is a show stopper for any room. Wonderful carved and sculpted accents (top in shape of an open book, side columns and musicality of the flower designs) combine to make this a truly lovely piece -- a celebration of botanical elements for your Mexican dream home. 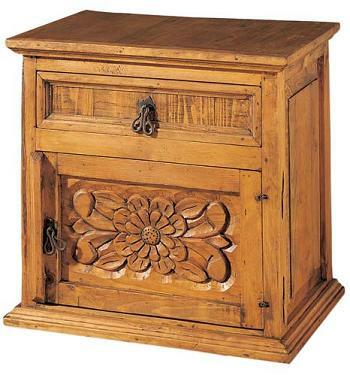 Use it in your bedroom as an armoire, in your dining room as a buffet and even in your living room as an entertainment unit or storage piece. 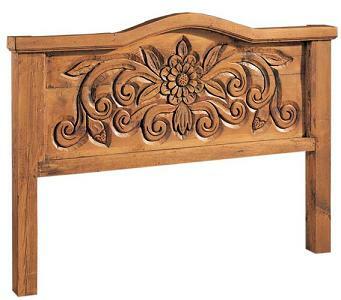 If you like this piece, please be sure to look at our flower headboard and flower night table.